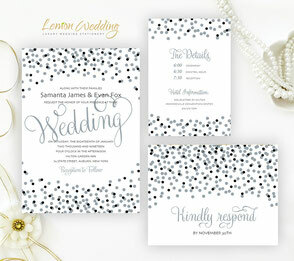 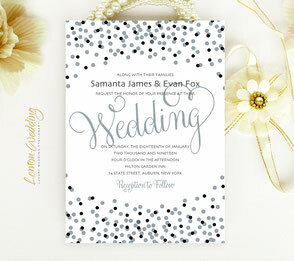 Our Silver Wedding Invitations is polished and very pretty. 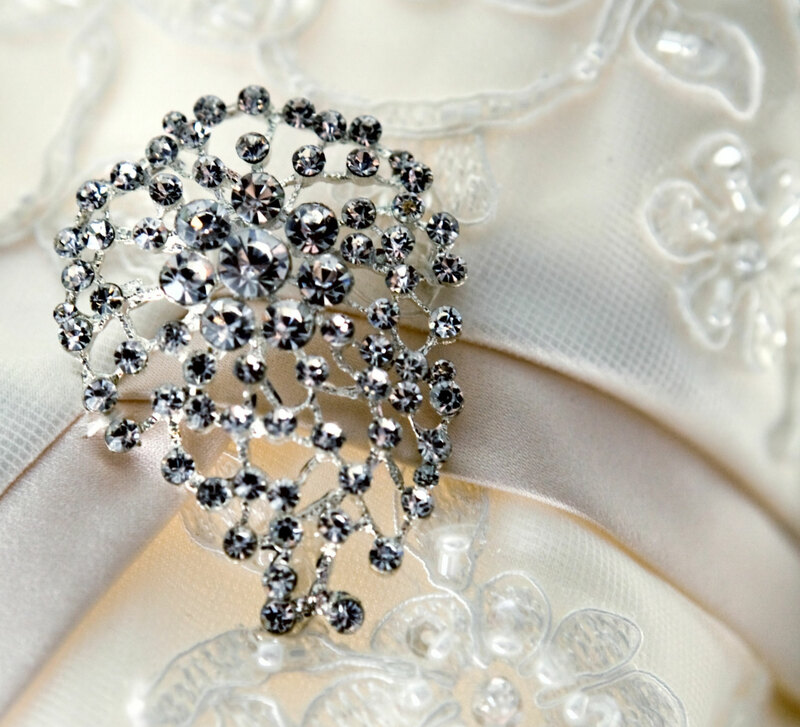 It carries the energies of clarity, strength and also a type of design that so many are attracted to. 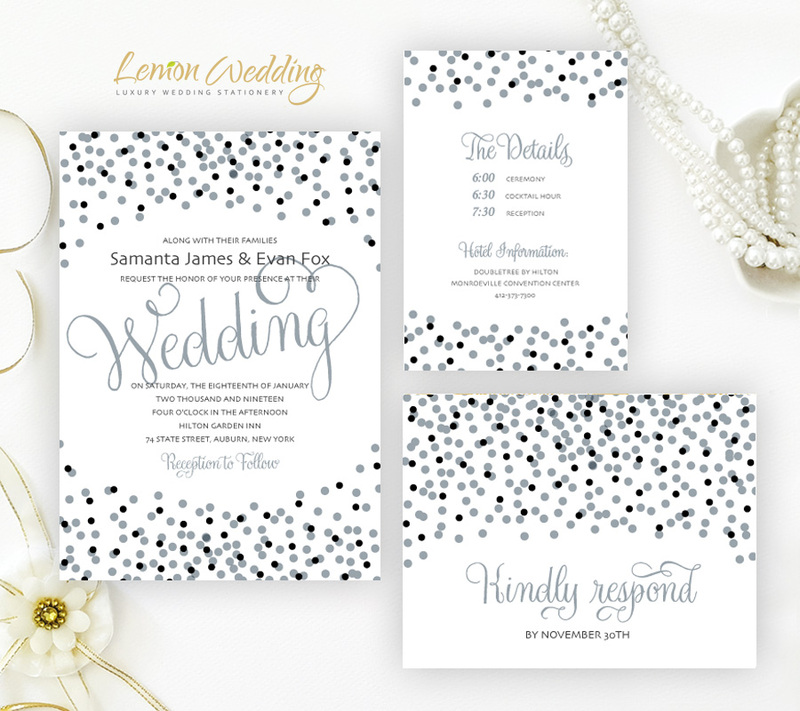 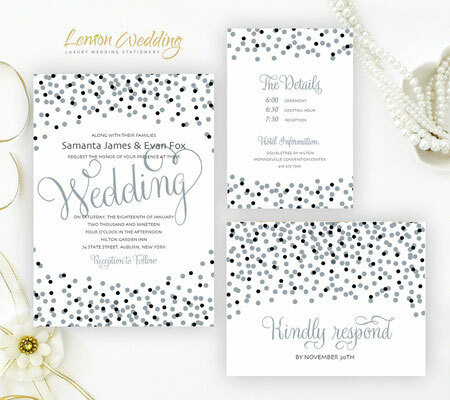 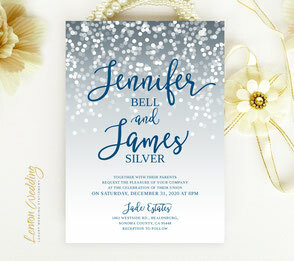 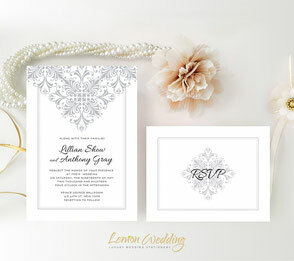 Sometimes the effect changes with the contrast, but regardless of what you choose, we can assure you that these silver wedding invitations will provide you with great memories for the future. 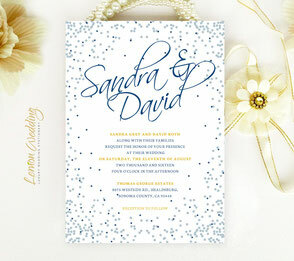 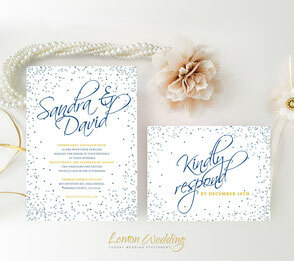 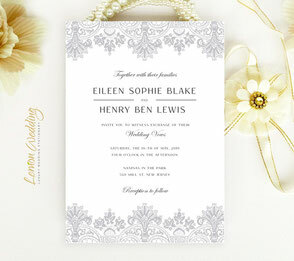 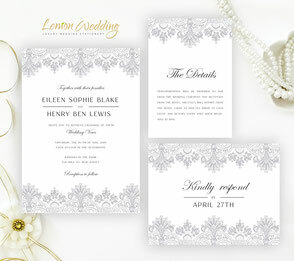 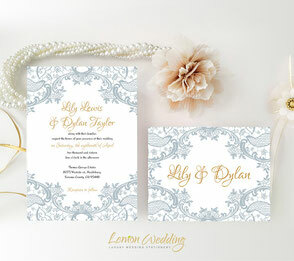 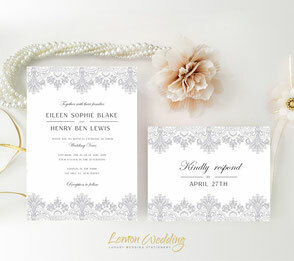 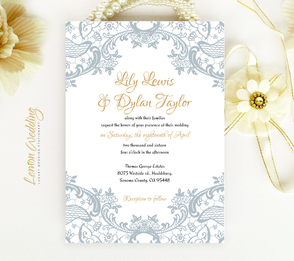 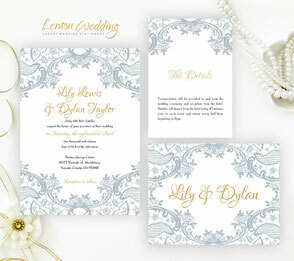 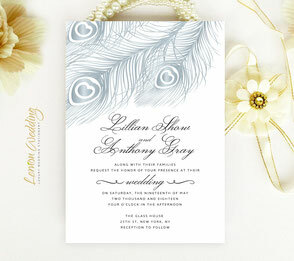 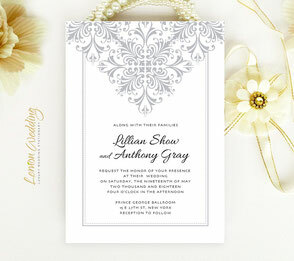 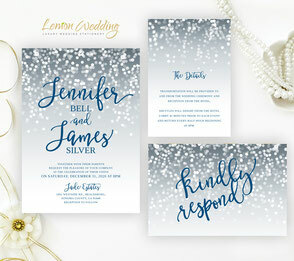 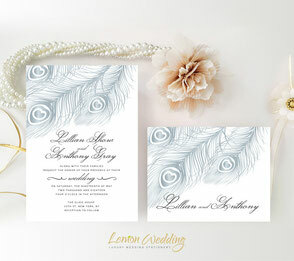 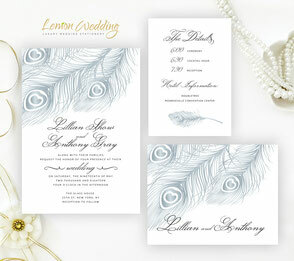 Invitations are printed on shimmer card stock. 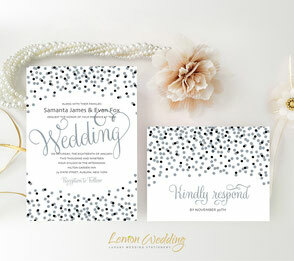 These invitations turned out perfectly and arrived in a week (I was expecting it to take so much longer). 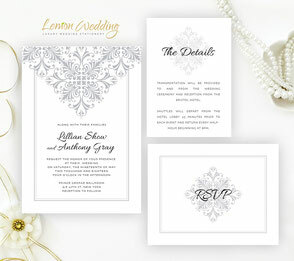 Lena was great and all of the details were spot on, she even threw in beautifully scripted return addresses on the back fold of our envelopes for free. 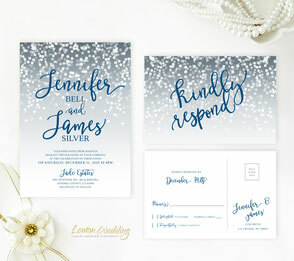 Such a great deal for top notch invitations! Every single person I've shown them to has complimented them with an "OU how fancy, I love them!" 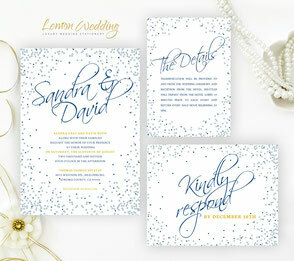 which is what I was going for :) Thanks Lemon Wedding!